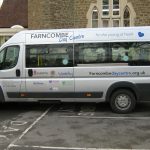 The Farncombe Day Centre provide a friendly and welcoming place in the community where people living in the Farncombe and Godalming area can meet and socialise. 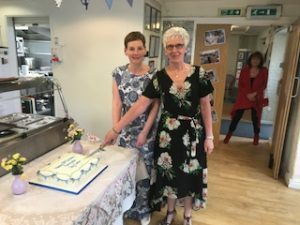 While the focus of the Centre is on those aged over 50, people of all ages are welcome to come in for coffee/tea and cakes , lunches or to use our services and participate in our activities. The Centre is supported by Waverley Borough Council (registered charity no. 1175294) and run by a committed team of staff and volunteers. The Centre offers a range of services, at affordable prices, and activities. There is no membership fee so everyone is welcome. The Centre is open on weekdays from 10 AM to 4PM. 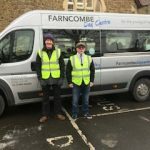 The Centre has its own minibus, with tail-lift access, to bring people to and from the Centre.